Following a direct injury to your mouth or teeth, whether undergoing orthodontic care or not, you should be seen by your regular dentist as soon as possible. Usually a radiograph of the involved tooth or teeth is needed to ascertain the extent of the injury. If a tooth has been knocked out, severely displaced or fractured, it is best to contact your family dentist first, since we may not have the necessary materials to treat these injuries. 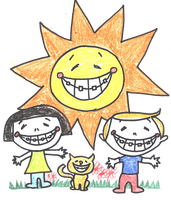 If the orthodontic appliances are dislodged or displaced, we will need to replace or adjust them as soon as possible. Please call our office immediately after seeing your family dentist. If you are unable to reach your family dentist or an alternate emergency facility, call our office and we will assist you in locating someone to care for the injury. 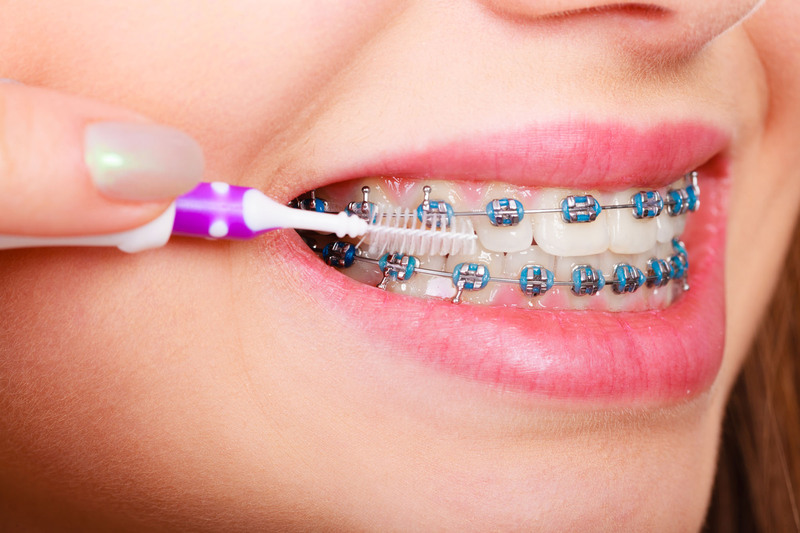 Broken or disturbed appliances are likely to occur from time to time during your orthodontic treatment. If there is any disturbance, such as loose bands or brackets, broken or poking wires, call our office as soon as possible so we can evaluate the urgency of the problem and schedule you to be seen accordingly. In the interim, the following helpful hints to remedy some of the problems you may encounter until you can be seen in our office. If a tie wire is irritating your mouth, cover it with wax or tuck it under the archwire using a blunt object like a pencil eraser or a Q-tip. A loose band or bracket can generally be left in place until seen in our office. Call the office as soon as you notice a loose band or bracket so we can schedule you to be seen and reattach the loose appliance. A broken archwire, or one that is irritating the gum or cheek tissue, needs to be seen as soon as possible for replacement or adjustment. A removable appliance that is not fitting well is not to be worn until it can be properly adjusted in our office. Call the office as soon as possible to schedule an appointment to have the facebow or removable appliance adjusted. Do you have something poking? If it is a wire tied around a bracket, you can push it back in with something sturdy but soft, like the eraser end of a pencil. If it is the archwire poking out of the back of the last bracket, you will need to call the office so we can clip it for you. You can use wax until you can get into the office. If a bracket comes loose and is twirling around on the archwire, you can use wax to stabilize it until you can get in for a repair appointment. Did you have a hook from your elastics break off? Discontinue wearing elastics until your next appointment. Do not wear one side without the other. Please call the office for an appointment. Did you run out of elastics? Call the office. We will be happy to provide more elastics or mailed to you, if needed. Do not go without wearing them. Do you have a loose bracket? If your bracket has come loose from your tooth, and it is not bothering you, it is usually okay to wait until your next appointment to repair. Please call our office to let us know and we will advise you what to do. Please let us know if you might require extra time during your next appointment for a repair.